OPEN: 08:00 am to 17:00 pm Tuesday to Sunday. Offers full day and half day spa experience. Jacuzzi and pool available. Complimentary return transfers, with free parking at Monte Casino, for the full day spa packages. Your journey begins when you are conveyed by our Mangwanani Bus (River Valley – Montecasino) or arrive per your own transport to the sound of traditional African singing and drumming: Welcome drinks on arrival, delicious light breakfast, sumptuous lunch with decadent desserts, complimentary bar, six luxurious treatments, the use of the mineral spa Jacuzzi/ mineral pool (subject to the venue) & relaxation time, signature Amarula and chocolate on departure. Package includes welcome drinks on arrival, delicious light breakfast, sumptuous lunch with decadent desserts, complimentary bar, six luxurious treatments, the use of the mineral spa Jacuzzi/ mineral pool (subject to the venue) & relaxation time, signature Amarula and chocolate on departure. PLUS receive a Mangwanani coral fleece gown & 10% of your payment will be donated to the Reach for a Dream Foundation. Invigorate your mind, body, and soul with an utterly refreshing, vibrantly African twist to a revitalising spa experience: Welcome drinks on arrival, delicious light breakfast, sumptuous lunch with decadent desserts, complimentary bar, six luxurious treatments, the use of the mineral spa Jacuzzi/ mineral pool (subject to the venue) & relaxation time, signature Amarula and chocolate on departure. PLUS receive a Mangwanani African printed 100% cotton gown. 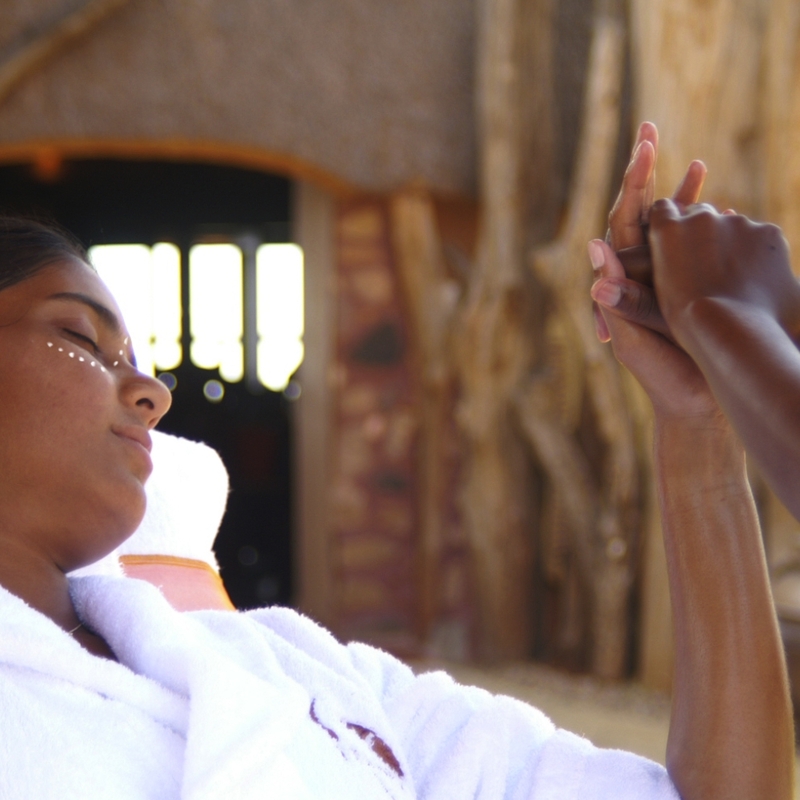 This exquisite Mangwanani package has been designed for the distinguished spa guest and is a magnificent option for bridal couples, or for spoiling your loved one on an anniversary. Welcome drinks on arrival, delicious light breakfast, sumptuous lunch with decadent desserts, complimentary bar, six luxurious treatments, the use of the mineral spa Jacuzzi/ mineral pool (subject to venue) & relaxation time, signature Amarula and chocolate on departure. PLUS receive a Mangwanani luxury 100% linen gown and a product hamper. 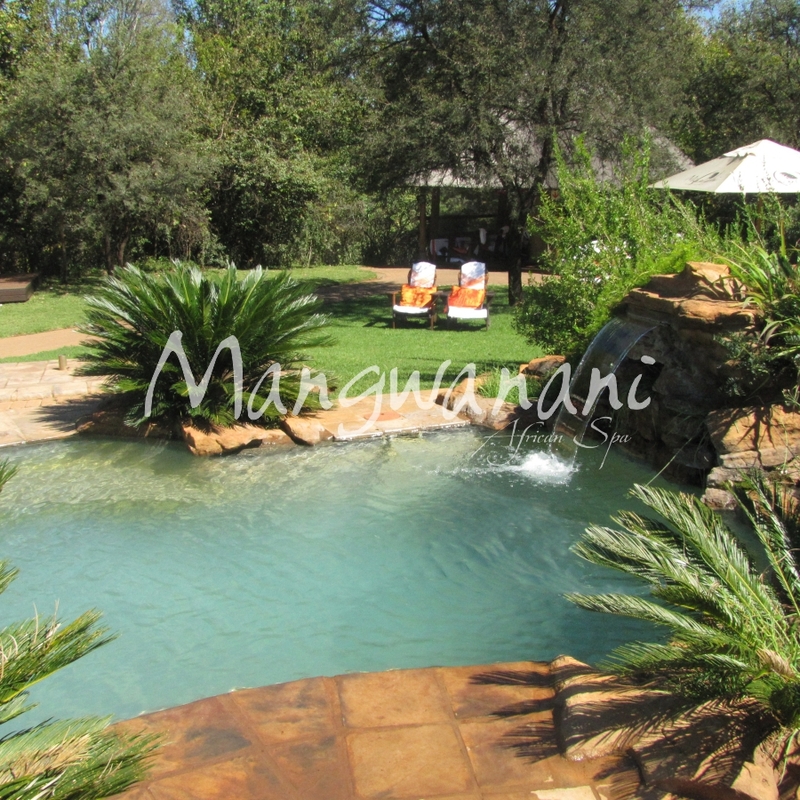 Enjoy all the delights of Mangwanani with either a morning or afternoon Half Day Package. Unrivalled entertainment, delicious light breakfast or sumptuous lunch with decadent desserts, complimentary bar, signature Amarula and chocolate to round off your experience.